* click the image to view or download pdf. At the DGL AIM at Ooty on 8th Feb 2019, our DG Mentor had conducted a training program for select Officers in the Lodge. This was very well received. Before commencement of the program, he conducted a short poll and the results are printed below. Under the Officer’s training program by the DG Mentor, W Bro Jayachand Pachakkil made the presentation on the Secretary’s role. Under the Officer’s training program by the DG Mentor, W Bro Suresh Mani made the presentation on the Lodge Mentor’s role. Please find below the mentoring initiatives undertaken for the months of September, October and November 2017. The Lodge is faring well in Recruitment, Retention and Recovery. New members are joining and dormant members are incentivized / enthused to attend meetings. All the three meetings were quite good with ceremonies / sessions taking place. On 21st August Worshipful Master and Mentor spent over 45 mts with Mr. Abraham Joshua Sumanam. A brief introduction on freemasonry, belief in the Supreme Being, meeting schedule, financial implications etc were clearly spelt out. The interview shed enough light on freemasonry ensuring that the applicant received sufficient information to decide whether Freemasonry is for him. An explanation of the balloting procedure and why balloting is necessary to ensure harmony is maintained at all times within the Lodge was explained in detail. Mr. Abraham Joshua Sumanam evinced keen interest to be part of this fraternity. On 2nd September at the regular meeting, Mr. Abraham Joshua Sumanam- Businessman, 29 yrs who was proposed by W.Bro N.Jayachandran and Seconded by W.Bro B.Suresh Kumar at the regular meeting held on 5thAugust 2017 was balloted favorably for membership to the Lodge. On 7th October, at the regular meeting Mr. Abraham Joshua Sumanam was initiated into freemasonry with the ceremony being conducted in a befitting manner. Past Master W. Bro Ram Mohan delivered the charge after initiation and junior brother Bro. T M Cyriac delivered explanation of the working tools. After the lodge was closed WM requested W.Bro Sukesh Menon President, District Grand Charity to hand over the cheque for Rs.1.2 lakhs received from DGL to M/s Pallium India. On 4th November the lodge had W.Bro. A K Nair , District Grant Orator addressing the brethren. W.Bro.A.K.Nair gave an impressive and informative talk on the topic "Worshipful Master - An Apostle of Light or an Absolute Monarch"
The mentoring activities for the year 2017-18 is progressing very well and both senior and junior brethren actively involving in the matters of the Lodge and the ceremonies. Please find below the mentoring initiatives undertaken for the months of March, April and May 2017. Discussions were held on Recruitment, Retention and Recovery. It was opined that in recruitment and retention the lodge is doing quite well and now focus to be given to recovery wherein dormant members to be incentivized / enthused to attend meetings. An assessment was made about the dormant members and about 30 odd members have been found to be inactive. It has been decided to a small group and visit these dormant members and find out the reason for their inactiveness. For a start it was decided to visit senior brethren first. On May 7th a team of brethren consisting of Worshipful Master W.Bro.N.Jayachandran, DoC-W.Bro.G.Unnikrishnan, W.Bro.Sukumaran Nair and W.Bro.Gokul Govind visited the residence of 3 senior brethren. Since it was ill health and old age that prevents them from attending the lodge meetings, it was decided to go meet them and enquire about their well-being. The brethren were very happy to be remembered and enjoyed the love & affection extended. On 1st April we had the raising ceremony of Bro.Aby Jose George. On 30th March a mentoring session was carried out by the Director of Ceremonies W.Bro.G.Unnikrishnan. More information on the Second degree tracing board which was explained at the passing ceremony. A comprehensive description of the first degree, and second degree ceremonies, symbolic explanations, signs etc. Ensured that Bro. Aby is well proficient in the first degree and second degree signs and salutes. On 6th May we had the passing ceremony of Bro.Bimal John. On 3rd May a mentoring session was carried out by the Director of Ceremonies W.Bro.G.Unnikrishnan. Bro.Bimal was congratulated on taking his first step in Freemasonry. Brief history of Freemasonry and of Lodge Minchin was explained. Names and details of all Officers of the Lodge was provided. Symbolic explanation of the Initiation ceremony and an explanation of the charge with focus on applying the principles of Freemasonry to our everyday lives. Basic Masonic etiquette and Festive Board were explained. Provided Bro. Bimal with the Questions and Answers with which the he must be conversant before he is passed to the Second Degree and help him to learn them. Discussed with Bro. Bimal the meaning of the questions and answers. Taught Bro. Bimal the First Degree signs and ensured he is proficient in them. The passing ceremony was very well conducted. The working tools were explained by Bro. Gokul Madhusoodhan and the tracing board by Bro. Aravind Ramachandran. It may be noted that both Bro. Gokul Madhusoodhan and Bro. Aravind Ramachandran are relatively junior brethren but have taken huge interest to involve in the ceremony. These are the tangible results of effective mentoring. The mentoring activities for the year 2017-18 have started very well and both senior and junior brethren actively involving in the matters of the Lodge and the ceremonies. We hope to focus on Recovery and bring back the dormant members to the fore and at the same time recruit 1-2 good members of repute and good standing. Please find below the mentoring initiatives undertaken for the months of June, July and August 2016. Visits were made / personal telephone calls made to most of the 30 odd dormant members and they were motivated to be more active as in the past. It was observed that all of them are still masons at heart and have the interest but bad health and professional preoccupations (especially doctors) are holding them back. Those without health problems have promised to find time to attend meetings. Worshipful Master and mentor visited the house of Mr. Abey Jose George, Businessman and spent over 45 mts with him and family. A brief introduction on freemasonry, belief in the Supreme Being, meeting schedule, financial implications etc were clearly spelt out. The interview shed enough light on freemasonry ensuring that the applicant received sufficient information to decide whether Freemasonry is for him. An explanation of the balloting procedure and why balloting is necessary to ensure harmony is maintained at all times within the Lodge was explained in detail. It was decided in March, for the first time ever, that over and above the Lodge mentor, an individual mentor will be assigned to each initiate for a period of one year. This will have a great effect in making the candidate comfortable and at home for the initial meetings and up to his raising. W.Bro.Sateesh Kumar was assigned as the individual mentor for Mr.Harikesh whose initiation was held at the regular meeting on Saturday the 4th June 2016, and W. Bro. Dileep Kumar has been assigned as the individual mentor for Mr. Abey Jose George whose initiation is scheduled for the regular meeting on Saturday the 1st October 2016. The lodge could garner an amount of Rs.1,00,000/- for district grand charity as a result of a sort of mentoring wherein the details of the activities undertaken by the DGL was explained to brethren and they willingly donated to the cause of charity. In the month of August (6th August 2016) we had the second degree (passing) ceremony of Bro.Harikesh. The working tools were explained by Bro. T.M. Cyriac and the tracing board by Bro. Rajesh. It may be noted that both Bro. T.M. Cyriac and Bro. Rajesh are relatively junior brethren but have taken the interest to involve in the ceremony. These are the tangible results of effective mentoring. Bro.Harikesh was congratulated on taking his first step in Freemasonry. Basic Masonic etiquette and Festive Board were explained. Provided Bro.Harikesh with the Questions and Answers with which the he must be conversant before he is passed to the Second Degree and help him to learn them. Discussed with Bro.Harikesh the meaning of the questions and answers. Taught Bro.Harikesh the First Degree signs and ensured he is proficient in them. Answered all questions and doubts raised by Bro.Harikesh. In the month of September we have invited the District Grand Mentor, W.Bro.Duleep Sahadevan to address the brethren. The mentoring activities for the year 2016-17 have started very well. We will be focusing on Recovery and bringing back the dormant members to the fore and at the same time recruit 1-2 good members of repute and good standing. By assigning individual mentors to new initiates we hope to provide them more comfort, ease and tension free masonic beginning. Both junior and senior brethren are enthused and taking active part in the affairs of the lodge. “Does the reverse process take place? In other words, does the mentor ever pick up minor but valuable insights from his protégé? In my opinion, the answer is YES. It would be an opportunity lost if useful qualities in a mentee are ignored by the mentor. The committed mentor should be looking for ways to improve himself, even if he has to occasionally learn from his protégé”. In the mid 1990s many older executives embraced Reverse Mentoring to help them enter the Internet age. But with the quickened pace of change in various new technologies it became necessary to integrate all this into the executive’s business strategy. And it was at this point of time that the younger generation could ,and may I say,’ mentor’ their seniors to help them deal with the intricacies of the latest technologies. It is a situation where the older generation in the Masonic field realize that by the time you are in your sixties, you are not in touch with the future the same way as the young thirty/forty something’s. Reverse mentoring is a way to encourage learning and help relationships across generations. The purpose is knowledge sharing with the mentee who is focused on learning from the mentor’s updated perspective, experience and knowledge. Different view points coming from two different generations are presented by mentor and mentee and their preferences highlighted. Expectations to be defined : The mentor and mentee need to be clear in their minds and should make it clear to each other what their expectations are. Willingness to learn: In a reverse mentoring relationship, both parties act in the capacity of mentor as well as mentee; therefore both parties “ genuinely want to learn from and share with the other”. The chemistry of the relationship between mentor and mentee is a critical item in deciding if the process is likely to be successful or not. Rules to be agreed on by both parties : Whether acting in the capacity of mentor or mentee, for the mentoring programme to be a success overall, both parties should be fully committed to the programme and implicitly follow the rules agreed on. These rules agreed on at the start can be amended by mutual consent as the programme evolves. Commitment to Freemasonry : The mentor’s knowledge of and commitment to freemasonry are some of the key requirements. The process is generally conducted through advice, and examples set by senior masons. Mutual trust : Since all our mentoring and reverse mentoring is conducted in – house, the subject has to be well thought out and carefully planned. The implementation of this plan is carried out by the two masons who form the team - a team based on mutual trust. Transparency : Both masons ( senior and junior ) who form the team must be open with their feelings and with what they are thinking. They must overcome differences in communication style ( many brethren will be surprised to know that different generations communicate differently) and be open to seeing situations from different angles. Desirable attributes of a mentor are an ability to strike a rapport with each other ( remember that there will probably be a generation gap between the two brethren forming the team and striking a rapport in a regimented institution like ours may not be easy for some brethren). Other attributes are ability to communicate and ability to make others feel that he is approachable. Freemasonry as a whole : Both mentor and mentee should keep in mind that freemasonry and the lodge are not business establishments but an institution – specifically a very honourable institution. Being faithful to the principles and tenets of the craft has to be given the highest priority. This has to be the foundation of every freemason’s Masonic career. The knowledge gap becomes narrower, particularly for the younger members of the team. The senior member will, of course be way ahead when it comes to conducting a ceremony and knowledge of rituals. The mentors knowledge and commitment to freemasonry are some of the key requirements. Mentoring occurs through advice, and examples set by others. In our institution mentoring is free, but experience has shown that it generally leaves behind a trail of thankfulness and gratitude. Brings brethren of widely different age groups together. Pairing young brethren with seasoned senior officers of the lodge/district becomes possible. Once this is achieved, the mental barrier the brethren of two different generations may have will break down, leaving the door open for a better rapport between the young and the old. Reverse mentoring does not require any new systems or processes. All that is required is the ability to match up two different categories of masons – senior and experienced , with new and recently joined brethren. After that is done, the teams should be encouraged to meet regularly and exchange ideas. Try to have mentoring relationships with brethren of dissimilar backgrounds – because there is much we can learn from people who are different from ourselves !! One of the important points of reverse mentoring is the setting up of expectations of the brethren involved. Clearly defined goals and meeting regularly to review them is critical. Care should be taken in selecting team members. The selection panel should be able to assess which brethren are suited to work with each other. The meetings between the mentors and mentees should be properly planned. What is the objective of conducting a reverse mentoring programme as against a normal mentoring programme? Is it to improve rituals; is it to make good men better; or is it to modernize the entire concept of what we call freemasonry ? Reverse mentoring appears to be a one to one approach to mentoring – a senior and junior mason form a team and discuss each person’s requirement. If this is the method to be employed then we will need a large number of mentors. A true mentor is one from whom the very thought of mentoring originates from the heart and mind because a mentor’s knowledge of and commitment to freemasonry is of utmost importance. Apart from this, a good mentor should be prepared to create the time for mentoring, however busy his schedule. At the same time the next generation should be made to understand the necessity to be mentored. The youngsters should be informed that the festive board is an integral part of freemasonry and that it is not another dinner party. Lastly, a lot of unofficial mentoring and /or reverse mentoring takes place during the festive board. This author has made it a point to spend a part of the allotted fellowship time at festive boards to talk to the younger set of brethren with, I think, reasonable success. I will digress here to make a short statement: - If my assessment is correct, Freemason’s in general are tradition loving people. Masons ( including myself ) like to practice and retain certain traditions. In fact, in one of my mentoring reports sent to the District Grand Secretary, I have stated that by retaining traditions, each lodge will have an identity of its own, where by each lodge can retain its own distinctive character. This comes from the simple reason that Masons take a huge pride in their own lodge. Modernisation can be done only up to a point so that Freemasonry can co-exist comfortably with the rest of the modern world .This leads to a situation where not many changes can be made to our age old ritual. These few points lead me to a statement made in 2012 by Jessica Bondy, the UGLE Public Relations Adviser at that time. The statement appeared in the Quarterly Communication and I quote : “If freemasonry is able successfully to conclude its quiet revolution, while at the same time ensuring that its central features are retained to preserve the true spirit of freemasonry, then its future may well be assured for next century or two at least”. Before discussing Reverse Mentoring in its true form, I would like to mention that a casual form of reverse mentoring was mentioned by me in the article I had written and was put up on the District Grand Lodge website. The article was entitled “MENTORING – A Work In Progress”. (Part 1). I quote the relevant passage referred to while conducting a mentoring programme :. Bro. Rajesh Nair, FC, was raised to the 3rd degree on 23 August 2014. On 18 August 2014, Wor. Bro. Sohni George, Mentor, met the candidate and discussed with him in detail the ceremony of Passing. This discussion was followed by another short discussion on the Initiation ceremony. The purpose of these two separate discussions was to remind the candidate about the meaning conveyed to the candidate in the two degrees.. The purpose of the 2nd degree is firstly to acknowledge the progress the candidate has made in the Craft and secondly to build upon the candidate’s knowledge. Since the 2nd degree is the shortest of the three degree ceremonies, the candidate was told that there is a danger that a beginner might consider this the least important of the three. This is definitely not so. All degrees have equal merit and its own special value. By discussing the details of the 1st and 2nd degrees the candidate was able to refresh his mind about the two degrees he has gone through. A further general discussion on freemasonry also took place which included an explanation and meaning of the 2nd degree working tools. This meeting was conducted according to the guidelines laid down in the “Let there be Light” mentoring programme. 14, Ethiraj Salai, Chennai 609868. (Mentoring initiative to maintain quaiity of members). At the first meeting with the prospective candidate, when the candidate is screened / interviewed, Lodge Cochin provides the prospective candidate with a booklet produced by U G L E entitled FREEMASONRY : AN APPROACH T0 LIFE. After the candidate is proposed and favourably balloted, Lodge Cochin has been writing letters to each candidate and prior to the candidate's initiation welcoming the couple into the Masonic frantemity. This is followed by mentoring programmes prior to passing and again prior to raising and after raising. All these meetings and correspondence with the candidate are conducted within the guidelines laid down in the “Let there be light" mentoring programme. After the initiation and after the Lodge is closed, the initiate is brought to the festive board in procession and this short ceremony closes with the lighting of a candle jointly by the Master and initiate followed by a toast being had for the health of the initlate. This ceremony of receiving the initiate for the first time at the festive board is an initiative of W. B. A I Kurian. Another point needs to he emphasized. From past experience, it has been observed that a reasonably intensive mentoring programme would be extremely beneficial for the MASTER - ELECT before he takes office. Generally, the Master - Elect is so pre-occupied in studying the rituals that he has no time to think of other aspects of his duties. During the last two years Lodge Cochin has been conducting mentoring programmes for the Master-Elect. All Worshipful Masters & Secretaries of all Lodges. Mentoring Initiative to maintain quality of our membership. We are enclosing herewith sample letters that may be sent to the following persons so that they are supportive to the order, being well informed. Only some of our Lodges are following this system of informing the brethren and family and it is suggested that, such letters be sent by the Worshipful Master / Secretaries of our lodges, so that the new brother and family are well informed. This system shall be monitored through our inspection reports of lodges. Letters approved by the DGL were mailed to all the Candidates before Initiation, wife of the candidate, Fellow Crafts and Master Masons. During ceremonies, when brethren of a lower degree were passed out, either a Grand Officer, or a senior brother, and even the visiting District Grand Mentor, went out to spend time with the EAs or FCs. A Car Rally and Treasure Hunt organized by the Lodge on Sep 29th, got the brethren together along with ladies for a whole day. A Treasure Hunt inside the Lodge was conducted by the DG Mentor when he visited the Lodge on 18th October. The excitement and bonding was prodigious and continued to the fellowship time and dinner. The UGLE mentoring website has been updated. Please request our lodge secretaries to circulate this link among the lodge mentors and interested brethren. Also note that the UGLE has introduced mentoring in HRA as well, for which we need to formulate an action plan accordingly. The standard reports for mentors are available. Do remind the lodge mentors to send in their reports before end of December 2013. It has not been easy connecting all lodge mentors. I will be attending the regional mentoring conference at Kuala Lumpur on the 6th and 7th of December 2013. Hope to have interaction with the grand mentor and grand secretary for further updates and will send DGL a report / discuss during the next scheduled board meeting. I am giving below the mentoring activities during the months of July, August, September, October, November and December 2013. On 31st July 2013 I had a session with Mr.Sujeeth Nair, candidate for initiation on 3rd August 2013. The proposer Bro.Sarath Satheesh was also present. Belief in God, the basic qualification to become a Freemason and other qualifications for membership. Duty to family and society. Freemasonry has its secrets but not a secret society. The principles and tenets of Freemasonry. Organisational - Global, District and Lodge levels. Demands on time and money on the membership of the lodge. Desire to join freemasonry should be on one’s own free will and accord and uninfluenced by mercenary. The candidate was quite receptive and was very much impressed about Freemasonry. The candidates’ impression about the ceremonies so far. The meaning of fellow craft. Freemasonry is a progressive science. Sigificance of the Winding Staircase – illustrative of life’s realities and hope of reward for the faithful. The second degree advises to improve your mind and enrich your knowledge by extending your studies in the Natural Science and Liberal Arts. Discussion on his interaction with other brethren and impressions about fellowship and brotherhood within the Lodge. His answers were very positive. On 8th September 2013, the Lodge celebrated the Onam Festival. Junior brethren and ladies were specially invited. There has been music, dance and other programmes connected with Onam Festival performed by brethren and the ladies. Newly admitted members, Bro.B.R.Vijayakumar, Bro.S.S.Vinod, Bro.Biju Sebastian Bro.Vivek Gopan etc actively participated in the music and other performances with enthusiasm. The springs of fellowship and fraternity generated by the get together, especially among the junior brethren were remarkable. On 4th October 2013, I had a session with Bro.K.Krishnakumar, candidate for third degree on 5th October 2013 and the points covered were as mentioned in the session with Bro.Jiju Sethumadhavan on 28-8-2013. On 30th October I had a session with Mr.Abraham Jacob, candidate for initiation on 2nd November 2013. The proposer Bro.S.Sujathan was also present. The points covered were as mentioned in the first paragraph. On 6th December, I had a session with Bro.Biju Sebastian, candidate for third degree ceremony on 7th December 2013, and the points covered were as mentioned in the session on 28-8-2013. The Lodge encourages new brethren to do small pieces of ritual work such as explanation of Working Tools, Tracing Board etc. Bro.Jiju Sethumadhavan, who was raised on 7th September 2013 explained the 1st Degree Working Tools in the meeting on 2nd Novemeber 2013. Bro.Vipin Gopan explained the Third Degree Working Tools in the meeting on 7th December 2013. Basic requirements of a mason. Masonry and other social organizations. Its relationship to society, religion, Government and a mason’s obligations to his family. Brief history of the Order. Brief history of Lodge Quilon. Some information on women and Freemasonry. The discussion was interactive and with the easy access of information through internet, he had done his home work very well and therefore the session was quite interesting to me. In Part I, I have discussed the necessity of and requirements for mentoring. 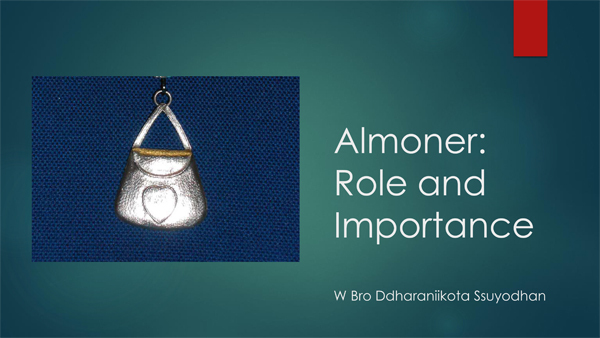 In Part 2, I will discuss other aspects of Freemasonry , which if used in the right manner, will enhance the value of mentoring. Mentoring is an art which all senior masons aspiring to be mentors may not be good at. Mentees are different, their problems different, and therefore solutions to their problems are also different. In the ultimate analysis, the mentor has to work out what sort of help each mentee needs. As mentioned in Part 1, mentoring is an inter-active process in which a more experienced person functions as a trusted friend, teacher and guide to a less experienced person. The chemistry of the relationship between mentor and mentee is a critical item in deciding if the mentoring process is successful or not. It must be kept in mind that Freemasonry and the Lodge is not a business but an institution – and specifically a very honourable institution. I accept that family and profession takes precedence over Freemasonry. But if the Lodge is to be considered an institution which has to continue as it has continued over the last four centuries, then to a certain extent one could put aside less important personal priorities for the purpose of lodge work. In other words the Freemason has to strike a careful balance between family, profession and lodge work. Each of the above three has to be nurtured carefully for the institution as a whole to succeed. Having been the Chief Mentor of Lodge Cochin for the last five years, I have come to the conclusion that mentoring in itself may not be quite enough to retain masons of quality. Mentoring may constitute 90% of the requirement. But there is a crucial balance of about 10% which has to be covered by the senior members of the Lodge. To start with, we are all aware that in today’s world, changes are taking place at a rapid pace –changes that affect the way we live, work, lifestyle, food habits etc. If my assessment is correct, Freemasons in general are tradition loving people. Masons (including myself) like to practice and retain certain methods of conducting ceremonies and they like to believe that traditions in our lodges have existed from the time the lodge was consecrated. In fact in one of my mentoring reports sent to the Dist. Grand Secretary, I have stated that by retaining our traditions each lodge will have an identity of its own and will be able to retain its own distinctive character. This leads to a situation where not many changes can be made to our age old ritual. Now reports coming from the U G L E suggest that there is a gradual drop in membership. We have to reverse this trend. Can the decline in membership be arrested or if possible reversed? Firstly, I have to emphasise that I am not advocating any form of modernization. All that I am saying is that Freemasonry should be able to co-exist comfortably with the rest of the modern world. I am expecting opposition from some of the traditional thinking members of our institution. One of the important changes that has taken place in recent times is the gradual involvement of ladies in the social side of Lodge activities. We are living in times where the so-called equality of man and woman is accepted – sometimes grudgingly by the male. Many working wives are in a position to contribute to the family income. The older generation probably lived in “company quarters” and built their homes around retirement time. Not so with the younger generation. They want every thing “now”. This results in large loans which are to be repaid, such as home loans, car loans etc. Then there is the heavy expenditure on children’s education. Spending on holidays for the family and in general a good life is common these days . In other words th e options for a good life have increased considerably unlike in earlier times. 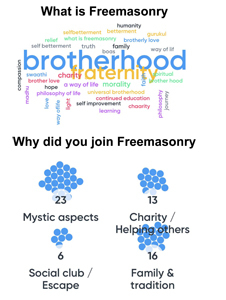 All these factors influence people’s thinking whether or not to join a lodge. At a different level the ladies make an enthusiastic group with whose assistance the lodge could become a more lively institution. Lodge Cochin seems to one of the few lodges in the District where the Festive Board is often conducted at the homes of members. But this seems to be gradually getting phased out. I hope members will help to reverse this trend so that we could get to meet members of the family. Ladies could involve themselves in lodge social activities. One aspect of Freemasonry where changes might be beneficial is the Permanent Committee. The Permanent Committee consists of Past Masters, Secretary, Treasurer and two Master Masons. In any serious discussion the Past Masters dominate. If junior masons are permitted to attend, ( they could attend without voting rights) the Master/ Secretary could try and ascertain the views of the junior members so that the seniors realize what is in the minds of the younger brethren. Basically we have to find ways to enhance the camaraderie amongst the members and at the same time making sure that the old Masonic traditions are left untouched. Myths are deeply set in people’s minds. It is up to us to make the effort to change people’s deep rooted perceptions for the good of Freemasonry in our District.
" If Freemasonry is able successfully to conclude its quiet revolution while at the same time ensuring that its central features are retained to preserve the true spirit of Freemasonry then its future may well be assured – for the next century or two at least ". Kindly find below the 7th Report regarding the mentoring activities in Lodge Quilon. His impressions on masonry gained after his initiation and clearing his doubts and offering clarifications. Revision on the basic Principles of Freemasonry, land marks and tenets. What is an entered apprentice and the symbolism of the first degree. North East Charge and the importance of Charity. Elucidation of the important parts of the charge after initiation. Questions of the 2nd degree. I had after initiation given him a brief note on 2nd degree, prepared around the lectures released by the Grand Lodge and other published literature and had asked him to read it well before the meeting. His passing ceremony is scheduled to take place on 7th September 2013. I trust you will be uploading this to the DGL Website. I am giving below the mentoring activities during the months of March, May and June 2013. On 20th March 2013, I had an interaction with Bro.Biju Sebastian, who was initiated on 3-11-2012. During the session, the following points were covered. The initial discussion was about his impressions of the first degree ceremony and freemasonry for which his reactions were very positive. Faith in God and its importance in Freemasonry. The obligation and the secrets and mysteries of freemasonry. Detailing about the symbolism relating to the important parts of the ceremony. Explanation on Brotherly Love, Relief & Truth. Charity Charge, its symbolism and the importance of Charity. Briefing on Charge after initiation. Lodge hierarchy, right to attend the meetings of the Lodge, summons, annual dues etc., behavior in the lodge, dress code & Apron. 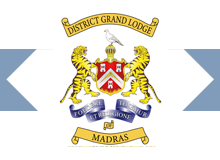 Grand Lodge of England and District Grand Lodge of Madras. On 3rd May 2013 I had a session with Bro.K.Krishnakumar who was initiated on 21-12-2011 and the matters discussed were as mentioned above. On 20th May 2013, I had a session with Mr.B.R.Vijayakumar, candidate for initiation on 1st June 2013. The proposer Bro.S.Satheesh Kumar was also present. The following points were covered. Organisational structure Global, District and Lodge levels. On 25th June 2013, I had a session with Bro.Jiju Sethumadhavan who was initiated on 6-10-2012 and the points covered were as mentioned in the first paragraph. Subsequent to the last mentoring report I have to report as under regarding the mentoring activities in Lodge Quilon. On 6th June 2013, I met with Brn. Thampu and Manoj Dathan, both of whom have completed the Second Degree and are waiting for their raising. The venue was the Temple of lodge Minchin at Trivandrum since 7th June happened to be convenient for all the three of us to be in Trivandrum. I found that both of them had more doubts and more serious questions as compared to the last session, on the working of the lodge in general, lodge etiquette, behavior during lodge meetings, visiting other lodges etc. Symbolism of the Second Degree, hidden mysteries of Nature & Science and further explanation of the symbolism of the working tools and tracing board. UGLE and craft masonry consisting of the three degrees and Royal Arch Chapter. Revision on the significant points of the charge after Initiation. Signs of the First and Second Degrees. As done at the last mentoring sessions, I had mailed to them a brief note on 2nd degree, prepared based on the lectures released by the Grand Lodge and other published literature and had asked them to read it well before the meeting. This method is found to be quite productive especially if the mentoring session is held without too much delay after the respective ceremonies, when certain portions of the ceremony will be fresh in their memory and can be again refreshed without much difficulty. I have to report as under regarding the mentoring activities in Lodge Quilon during the month of May 2013. I started with asking for his impressions on masonry gained after his initiation and clearing his doubts and offering clarifications. Lodge working including rules of business, lodge officers, behavior in the lodge, importance of and how to do secret ballot, salute, sign of Reverence etc.. This is in continuation of my report dated 10th April 2013, regarding the mentoring activities in Lodge Quilon during the month of March 2013. In addition to what has been reported, I have also to report that at the regular Lodge meeting held on 9th March 2013, W. Bro. R. Sreekumar, the IPM, took a session explaining the signs token and words of the first and second degrees. From the feedback I got from some junior as well as some senior brethren, I have to report that it was well received and appreciated by all. Much has been mentioned about mentoring in the recent past. But I must say that it has been in existence informally for many, many years. In fact it has always been one of the methods of instilling confidence and commitment. Historically, the learning process, through centuries has been by a process of mentoring. In the educational institutions of today, mentoring has become the buzzword. But for it to be a success, the subject has to be well thought out, carefully planned and implemented by mentors who have total commitment. After all, mentoring is a process based on a trusted relationship between the mentor and the mentee, the latter being the protégé who benefits from the experiences of the former. And when one looks back on one’s Masonic career, those that enabled us to make the difference will always stay in our memories. Does the reverse process take place? In other words, does the mentor ever pick up minor but valuable insights from his protégé? In my opinion, the answer is YES. It would be an opportunity lost if useful qualities in a mentee are ignored by the mentor. The committed mentor should be looking for ways to improve himself even if he has to occasionally learn from his protégé. Learning should not be confused with mentoring. Learning is achieved by listening to a prepared lesson which is accepted and practiced. Mentoring is supplementary to learning. It is informal, based on trust, mutual respect, and clear communication. The mentor’s knowledge and commitment to Freemasonry are some of the key requirements. Mentoring occurs through advice, examples set by seniors and answers which are almost extempore to questions the mentees will surely come out with. Mentoring is free, but it generally leaves behind a trail of thankfulness and gratitude. Mentoring can be done by most Master Masons, but a true mentor is one from whom the very thought of mentoring originates from the heart and mind. This category of Master Masons may not be easy to find. We have to make do with the resources we have. Ritual working in Freemasonry is a team effort. Mentoring the team members so that they understand the meaning of the ritual, I think, helps to achieve a good , well co-ordinated ceremony. Having written about mentoring, a paragraph on the mentor himself will not be out of place. Desirable attributes of a mentor are an ability to strike a rapport with junior masons; ability to communicate; ability to make other masons feel that he is approachable; willingness to take on responsibility; willingness to occasionally accept valuable insights from juniors and in return appreciate the concerned mentee. After all, learning what not to do is just as important, to avoid mistakes being made. Finally, as a policy, mentoring needs to be promoted and instilled into the minds of brethren, both senior and junior. Selected senior brethren should try and create the time during their busy schedule to mentor the next generation of masons, while the next generation should be made to understand the necessity to be mentored. The mentees should be informed that the festive board is an integral part of freemasonry. At the festive board, Master Masons and their protégés are able to mingle and talk more freely, which in turn, leads to a form of informal mentoring. In our district where mentoring has been recently introduced, the idea of taking this topic seriously, seems to be evolving gradually. A report on the mentoring programme conducted by Lodge Cochin during the month of December 2012. A mentoring programme for the MASTER - ELECT of Lodge Cochin was conducted on 14 December 2012. The Freemason who has received the highest honour possible in his Lodge - that of election to Master of his Lodge - now finds himself in the ancient seat of wisdom . On that basis , it is hoped he has gained knowledge and wisdom during his passage through the lower ranks. Even so, the newly installed Master will find that he has much more to learn. Hence the need for a mentoring programme for the Master - Elect alone. But it has to be pointed out that a mentoring programme for a period of about one hour is only sufficient time to givea brief outline of his duties and responsibilities. Book of Constitutions - The newly installed Master will do well to spend some time to read the Book of Constitutions. This is a book that is very often put aside carelessly and not often read except when it is required to be read. Conducting ceremonies - The Master has a right to conduct every ceremony, and should conduct every ceremony appearing on the summons agenda. There is sometimes a tendency on the part of the odd Past Master to ask the Ruling Master if the same Past Master could conduct the ceremony on behalf of the Master. On the part of the Master, he may probably think that this one way to lighten his burden. But when we look at the larger picture, the Master should, in my opinion, actively discourage this, as such a practice is inimical to the interests of the Craft. Going one step further , it would be an under statement to say that the Master should have a reasonably good knowledge of the rituals and ceremonies. Master’s collar - When the Master temporarily vacates his chair in favour of a Past Master, he does not surrender his collar. Fellow Officers - The Master would do well to maintain regular communication with his team of fellow officers. It helps to establish a good rapport with his team, which in turn helps in the smooth management of the Lodge. A rehearsal of the ceremony immediately prior to the Lodge meeting would help to achieve a good ceremony at the Regular Lodge meeting. It goes without saying that Lodge members would like to see a good ceremony, which in turn would probably increase attendance at Lodge meetings. Junior members - The Master interacting with junior members at the festive board would make them feel welcome and at ease. Conduct and demeanor of the Master - When the Lodge is open, the Master should conduct the business of the Lodge in a formal manner. He should be prepared to politely exercise his authority when required. The entire programme was conducted in the form of an inter- active discussion. The time taken for the discussion was approximately one hour twenty minutes.